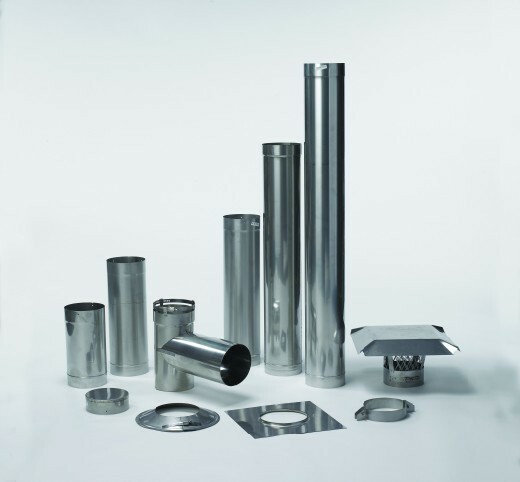 The popular Premier Rigid Lining System made from high grade, 24 gauge stainless steel and is used for different applications and situations. Premier Rigid chimney liner systems are the tried and true "old school" way to reline a chimney. Offering a smooth interior allowing 20% more draft. Premier Rigid chimney liner systems are a great choice for chimneys without an offset, or have other instillation challenges. Premier Rigid chimney liner systems are available in 316L (low carbon) for all fuel types, and in 304 Stainless Steel for wood burning applications.